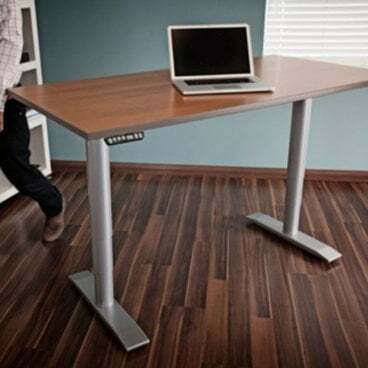 The wheelchair accessible computer desk features an extra-low and extra-high vertical range adjustment to fit any sit-to-stand requirements. A powered push button controls can be mounted on either side of the adjustable height desks. The ADA desk has a modern, ergonomic design with a variety of shapes and colors available, to seamlessly add accessibility to the work place. 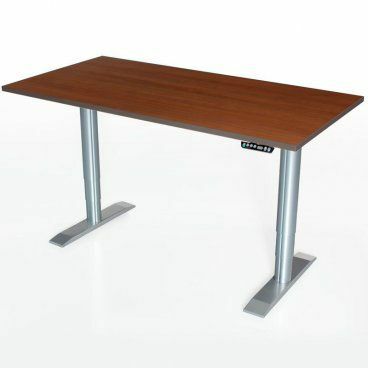 The powered accessible desk meets or exceeds ADA requirements and adheres to HFES (Human Factor Ergonomic Standards).